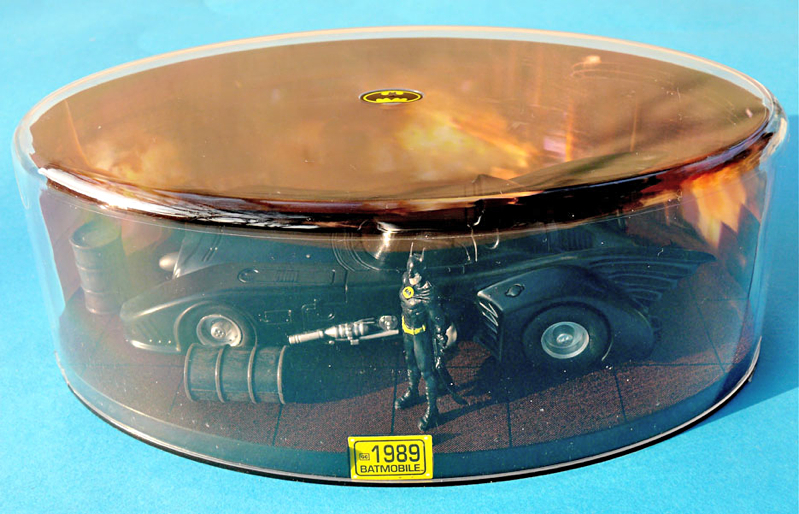 We reviewed this excellent piece of Batmania first time around when it was issued in March 2011. At first glance the new one looks exactly the same, which is good news as the miniatures were really well done. 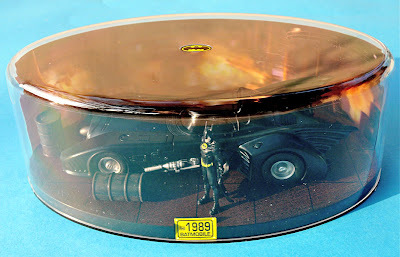 The first issue features a Batmobile, excellent Batman figure and two oil drums, all sitting neatly on a diorama base, under a clear, stackable plastic dome. Last time round the dome was a nifty oval shape, here in 2013 it's had a sidegrade to a more conventional rectangular format. Launch price is the same, at £2.99 GBP, though that will doubtless go up after the first few cars have hit the stores. 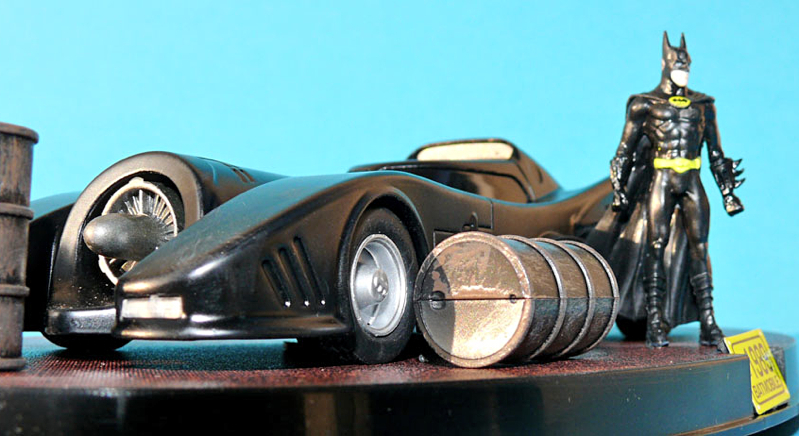 The included 'Batmobile Automobilia' magazine is also included, with a redesigned cover. Good stuff all round, yet there is still plenty of opportunity to add some superdetailing and weathering, if you want the model to really come to life. 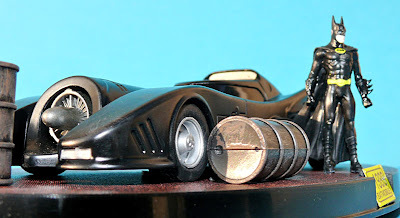 It's nice to see the fortnightly Batmobile Automobilia back in town. Read the SMN first take on this partwork here. This is the first time issue of 2011 - we'll add some of the latest rectangular box version soon.